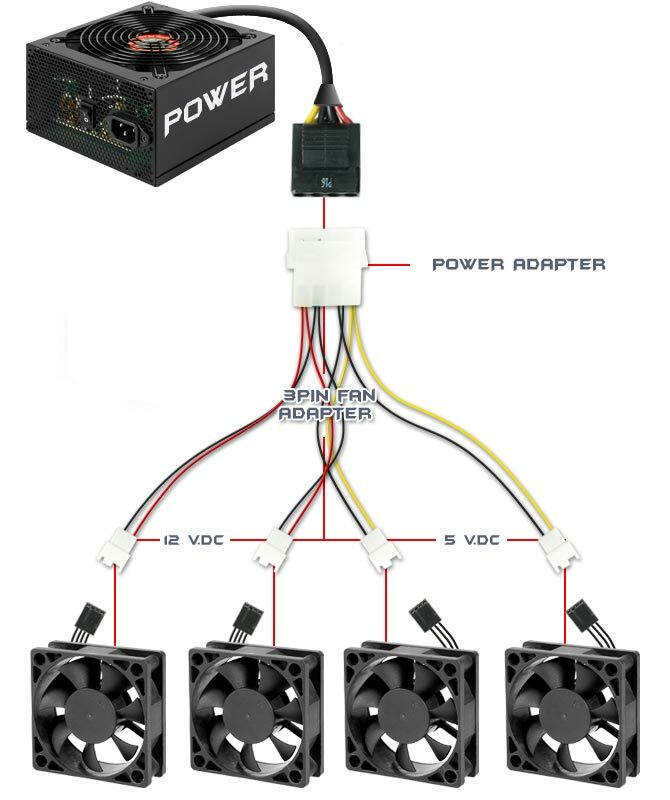 • Connects four fans to the PSU. • Speed reduction for two fans. 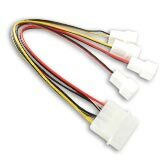 • Choice of 5V and 12V connectors.